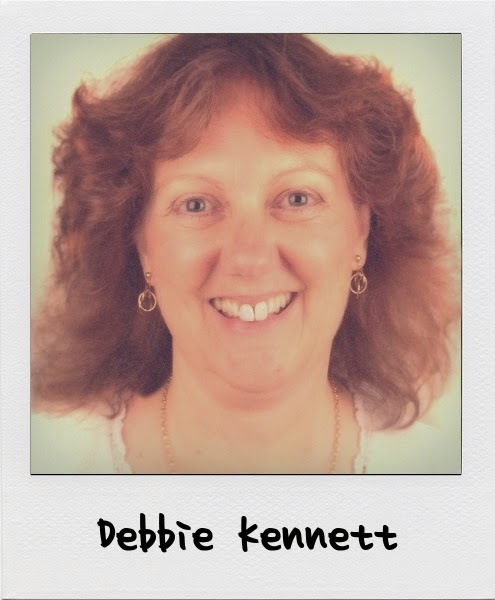 Background - Debbie is an internationally recognised expert and speaker on genetic genealogy. She writes the popular Cruwys News blog, and is the author of two books: DNA and Social Networking and The Surnames Handbook. She is an Honorary Research Associate in the Department of Genetics, Evolution and Environment at University College London, and has worked to promote the responsible use of DNA testing as a genealogical tool. She is a member of ISOGG and the co-founder of the ISOGG Wiki. She is the administrator of several projects at Family Tree DNA including the Cruwys/Cruise DNA Project, the Devon DNA Project and the mtDNA Haplogroup U4 Project. Day Job - I have a background in publishing. I now work as a freelance editor, proofreader, genealogist and writer. Night Job - Nights and days tend to blur together, but I am often to be found answering DNA-related e-mails at midnight! I started my family history research in 2001 after the death of my father-in-law. We inherited a collection of family photos but were unable to put names to faces. I started writing letters and sending e-mails to relatives to ask for help with identification. I soon became addicted! As well as researching my own family tree I also researched all my husband’s family lines. I’d been fascinated by my rare maiden name CRUWYS since childhood, and this interest gradually developed into a full-blown one-name study. Now I research not just my own family tree but the family trees of everyone with the surname. I first became involved in the world of genetic genealogy in 2007. A number of my fellow members of the Guild of One-Name Studies had already started surname projects, and I decided to set up my own project for the surnames CRUSE, CRUISE and CRUWYS after attending a talk by Chris Pomery at my local family history society. There was a lot to learn but I soon discovered ISOGG and found that there were always people who knew more than me and who could answer all my questions. It was simply a matter of ensuring that I was always one step ahead of my project members! I started the Devon DNA Project in March 2009. I joined the mtDNA Haplogroup U4 Project as a co-administrator in September 2009, and became the Group Administrator in 2013. In 2010 I founded the ISOGG Wiki in collaboration with Tom Hutchison, and continue to be a major contributor. The Wiki has now developed into a major educational resource for genetic genealogy. In an attempt to recruit more people to join my DNA projects I started writing articles for various family history magazines. As a result I was commissioned to write my book on DNA and Social Networking. I’ve written articles about DNA testing for all the major family history journals. I am a frequent speaker about DNA and surnames at both local, national and international events. Thinking of taking a DNA test? Wondering how DNA can help your family tree research? Just got your results and wondering how to interpret them? Then my beginner’s talk is just right for you. In a second talk, I'll be discussing how the use of Gedmatch has led to the identification of at least fifteen “missing persons” in the US (including murder victims and serial killers), and there are over 100 additional people awaiting identification within the Gedmatch database. This novel use of DNA & Genealogy in combination will be reviewed and ethical issues discussed. - The Surnames Handbook (2012) (https://www.thehistorypress.co.uk/index.php/genealogy-books/the-surnames-handbook.html). GGI2018 Belfast: Mysteries of the Titanic solved by DNA - The loss of the Titanic is one of the worst disasters in maritime history. Over two thirds of the passengers and crew died on 14th/15th April when the luxury liner sank after hitting an iceberg. It was not possible at the time to identify many of the bodies that were recovered from the sea. Nearly a century later, DNA testing allows us to reinvestigate these historical mysteries. I will be looking at the findings of the Titanic Ancient DNA Project which sought to exhume and identify the remains of a young man, a woman and an unknown child buried in Halifax, Nova Scotia. I will also look at the mystery surrounding the fate of two-year-old Lorraine Allison. She was thought to have died with her parents but her body was never found. Many years later a woman known as Helen Kramer came forward claiming to be the child. Was DNA finally able to provide some answers? GGI2017: Making the most of Autosomal DNA - Autosomal DNA testing is a useful tool for the family historian. It can be used to confirm existing genealogical relationships and to reunite us with our long lost cousins. This talk will cover some of the basic concepts of autosomal DNA testing and look at strategies for working with your results. We will also look at some of the third-party tools and resources that are available to help you. GGI2016: Cousin-matching autosomal DNA tests first became available in 2009, and are now the most popular of the three tests used by genealogists. Thanks to the power of the large company databases previously insoluble family history mysteries now have the potential to be solved. It is truly an exciting time to be a genetic genealogist. However, the interpretation of autosomal DNA results can be challenging, though new tools are being developed all the time to help with the process. What can we expect in the years to come as we move into the whole genome sequencing era? GGI2015: I will be providing an introductory lecture on the subject of DNA testing which will look at the three different types of DNA test that can be used as an aid to family history research: Y-DNA testing, mitochondrial DNA testing and autosomal DNA testing. I will include practical examples and success stories from my own research to illustrate how the tests work. You can watch a video of Debbie's previous presentation by simply clicking on the image below. To watch it in Full Screen, click on the "square" icon in the bottom right of the screen.